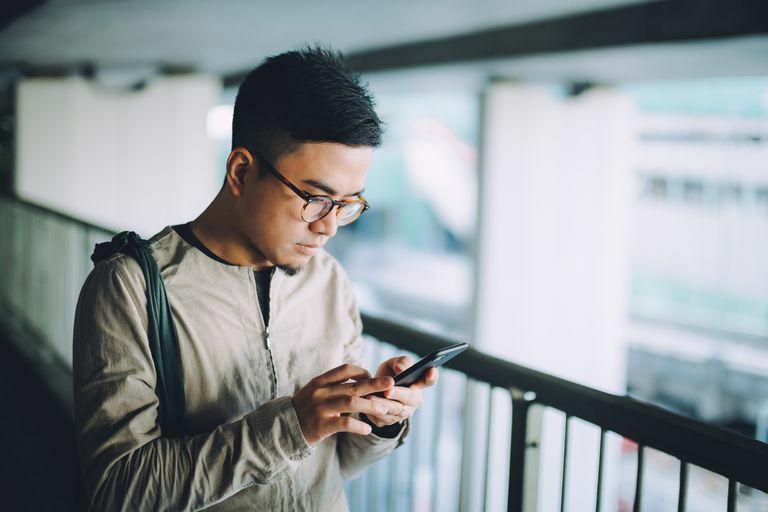 HSPA+ is one of many acronyms that describe the speed of your phone's internet connection. Put simply, HSPA+ is a hybrid 3G network that bridges the divide between 3G and 4G speeds. Some commercial network vendors have mistakenly labeled HSPA+ as being fully 4G, but this is misleading. HSPA+ means "Evolved High Speed Packet Access" (also called HSPA Plus) and is a technical standard for wireless broadband, capable of producing data transfer speeds of up to 42.2 megabits per second (Mbps). However, what does this really mean to consumers? Let's look at mobile standards and their speeds a little more closely to see how this might affect you. The history of wireless communications standards goes back to 1G in 1981, an analog-only standard long before the advent of smartphones that allowed simple phone calls only. Since the "G" just means "generation," the 1G wasn't called that until 2G emerged in the 1990s, supporting digital voice calls and text messaging. 2G speeds were still snail-like at 14.4 Kbps (kilobits per second). This standard was enhanced in the late 1990s with GPRS (General Packet Radio Service), adding the ability for a device to access an "always-on" data connection with speeds of around 40 Kbps, although the vendors marketed it at 100 Kbps. A 2G network enhanced with GPRS has sometimes been referred to as a 2.5G network. Following GPRS was EDGE (Enhanced Data-rates for GSM Evolution), a lot faster than GPRS but still not fast enough to graduate to the next generation of 3G, earning it the moniker of 2.75G. The early iPhones, for example, were capable of EDGE speeds, which was approximately 120 Kbps to 384 Kbps. With the advent of the 3G standard in 2001, smartphones really began to take off, as data transfer speeds finally broke not only the megabit per second rate barrier but hit speeds up to 2 Mbps. A 3G-capable device is so fast that Apple actually named its phone the iPhone 3G. And here's where HSPA comes in. HSPA (without the "plus") is a combination of two protocols: High Speed Downlink Packet Access (HSDPA) and High Speed Uplink Packet Access (HSUPA) — which simply means that its download and upload speeds build on the original 3G speeds for a peak data rate of 14 Mbps down and 5.8 Mbps up. HSPA+ was then introduced in 2008 and is sometimes called 3.5G. HSPA+ upgraded 3G further into peak speed ranges of 10 Mbps, with real-world speeds averaging more like 1-3 Mbps. Again, some cellular carriers with a 3G HSPA+ network have erroneously advertised their speed as 4G. Be aware that the top download data speed for HSPA+ is sometimes reported to be as high as 100 Mbps, or max 4G speeds. This is incorrect; you will never get this kind of blazing speed from an HSPA+ network (its peak speed is 42 Mbps). That said, HSPA+ is the fastest variety of 3G out there. The 4G standard can produce speeds about five times as fast as 3G and is based on the LTE (Long Term Evolution) protocol. In fact, maximum peak speeds are considered 100 Mbps, although average speed will likely be more like 3 Mbps to 10 Mbps — still quite fast and nothing to scoff at. A 4G network operates on a different frequency than 3G, so be sure you have a device that's capable of taking advantage of it. 5G is a yet-to-be-fully-implemented wireless technology that offers improvements over 4G, like speeds up to 10 times as fast. Networks running 3G or those enhanced with HSPA+ are common throughout the world. The four major U.S. carriers (AT&T, Verizon, T-Mobile, and Sprint) all offer 4G LTE network coverage, depending on the location, but also have areas of 3G or 3G HSPA+. In addition to cellular data speed standards like 3G and 4G, cell phone consumers need to be aware of radio frequency bands. A 3G network usually operates on one of five frequencies — 850, 900, 1700, 1900, and 2100 — so you need to be sure that your 3G phone supports those frequencies (all modern phones do). A phone's supported frequencies are usually listed on the box, or you can call the manufacturer to be sure.